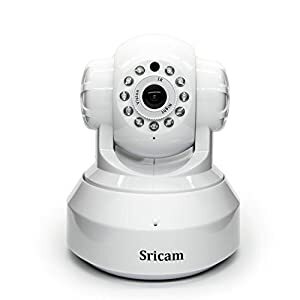 We provide you the best at home security camera systems at the best prices on the web. Take a look at our categories on the left for the widest range available, and shop online safe in the knowledge that all orders are 100% secure - guaranteed! The volume of security cameras sold is said to have grown significantly since the 2000s. It is not necessarily because crime has also grown exponentially anywhere in the country. Most people are now just concerned and more aware of their surroundings, including the various ways to protect their family and possessions. Installing security cameras is definitely one of the most convenient and cost-efficient ways to attain a high level of security. But what types of security camera should you invest in? Take a look at this list and see what suits your needs best. This type is not so popular for household use because of its hefty price and distractive size. Businesses prefer it though because of its customizable lens and durability. As the name implies, the camera is housed in a weather-proof case, allowing you to place it anywhere inside and outside an establishment. It is called this way because of its inverted-dome shape. The lens is inside a convex glass case, so it is protected against dirt and other elements. However, its lens is usually not capable of long-distance optical zooming and its range is narrower when compared to the other types. For this reason, it is usually installed alongside other dome-type security cameras to reduce, if not completely avoid, blind spots. 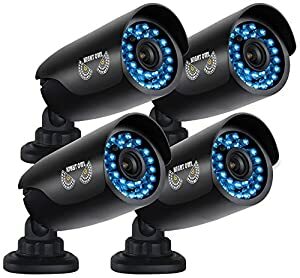 Nevertheless, many businesses prefer this because of its low price and because the angle of shot is not easily seen, preventing criminals from identifying a blind spot. 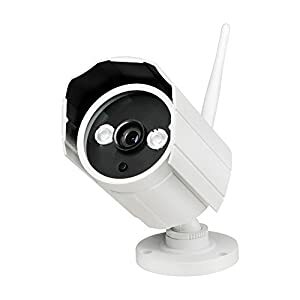 Also known as speed dome cameras, high-end stores and large business establishments prefer this type because of its range of functions. An operator can control it for better viewing and perform different movements, such as panning, tilting, and zooming in and out. Advanced PTZ cameras can also scan images for facial recognition, provided that the operator has the right computer software and equipment. Among all the security cameras in this list, this one requires the least maintenance because of its tightly sealed enclosure. It basically looks like a slimmer box-style security camera usually installed on top of posts and walls. It uses a high-power lens with IR illuminator to see movements even in low light. IP stands for internet protocol, which means that it can feed images to the operator through the internet. It appears like a dome-type camera, but with transparent casing and with tilting lens. Its resolution can reach up to 29 megapixels and optically zoom up to 30 times. This type is normally seen in prisons and highly secured facilities because of its capacity to detect heat signatures of people even while hiding behind smoke, haze and rain. It also works in pitch-black darkness. This is the most expensive type of security camera, so it is rarely installed for household use. 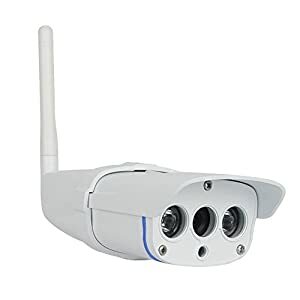 Basically, it is an IP security camera that automatically sends images to a server for the operator to see in real time anywhere in the world. Some businesses prefer this because there is no line to tap or cut. Nevertheless, there is still a possibility of hacking.